Dubai: Nearly 1,000 children from across the UAE took up the challenge to test their mental math skills, calculating 200 arithmetic sums in eight minutes. 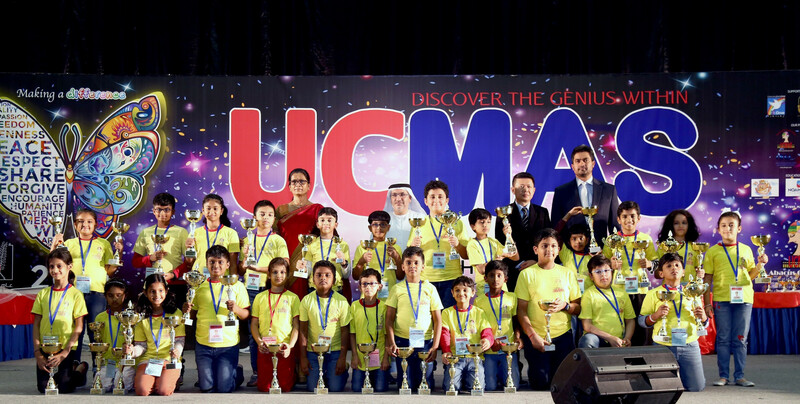 The recently held 16th UCMAS National Abacus Mental and Arithmetic Competition 2019 drew over 30 nationalities from the UAE. The event also saw an impressive participation of Emirati students, who were second-highest in number after Indians and won several prizes. UCMAS, or Universal Concept of Mental Arithmetic System, is a skill and mental development programme that promotes mental arithmetic system designed for children between four and 13 years. At present, there are 36 centres in the UAE teaching over 4,000 students. In total, around 200 contestants won awards in categories including Grand Champions, Champions, Runners Up (1st to 5th), Little Star and Radiant Star, besides merit awards presented to several participants for their accomplishments. Students from India, UAE, Jordan, Sri Lanka, Egypt, Pakistan, Britain, USA, Philippines, Iraq, Canada, Algeria, Palestine and Bangladesh swept away most of the prizes and were appreciated for their quick-thinking. The competition was conducted in two sessions, with participants grouped in 24 categories based on age and level completion. Each contestant had to answer 200 math questions that were presented visually in just eight minutes. Juniors were tested on addition and subtraction, while at the senior level the stakes got higher and competition toughened to include multiplication and division as well.